President Museveni has heaped praise on the late Winnie Mandela for her role in fighting the Apartheid regime in South Africa. Winnie, the former wife to South African anti-apartheid fighter and former president Nelson Mandela, died at the beginning of this month at the age of 81 in Johannesburg hospital after suffering a long illness. 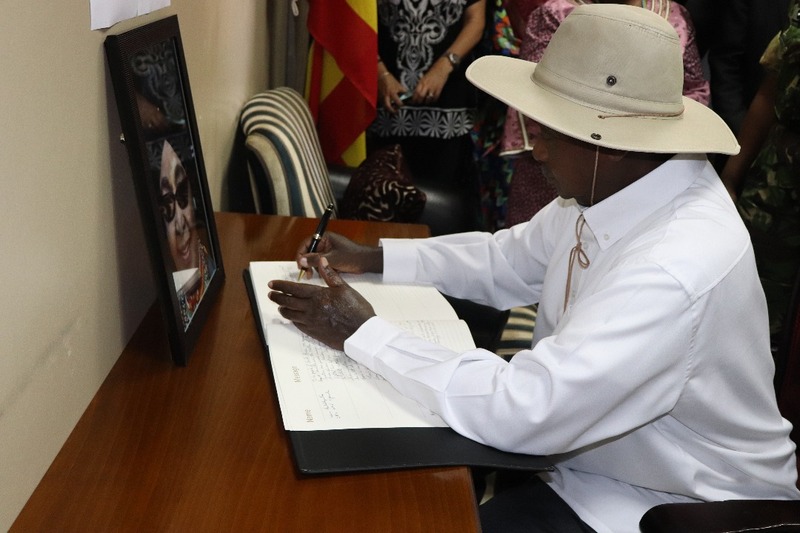 On Tuesday, Museveni paid a courtesy visit to the South African High Commission in Kampala before condoling with the acting South African envoy. “She was a young and beautiful lady but when her husband was jailed whereas other fighters went into exile, she remained at home and became the face of ANC,”Museveni said on Tuesday. Mandela was in 1962 arrested for conspiring to overthrow the government and sentenced to life imprisonment before serving 27 years in detention at Robben Island. According to the president, when Mandela was sent to Robben Islands, many other people including Steven Biko came up to fight against the Anti –Apartheid but Mrs.Mandela remained the face of the party and continued with the fight despite being harassed by the regime in South Africa. When the NRA took over, they allowed the ANC to train its armed wing at the Oliver Reginald Tambo School of Leadership in Kaweweta. When asked why he allowed African National Congress fighters to train from Uganda, Museveni said it was his duty to save fellow Africans from torture and slavery by the Whites. Xolela Nofukuka, the acting High Commissioner applauded Uganda for the role it played in fighting against the Whites in South Africa. In 1992, Winnie separated with Nelson Mandela before divorcing in 1996.